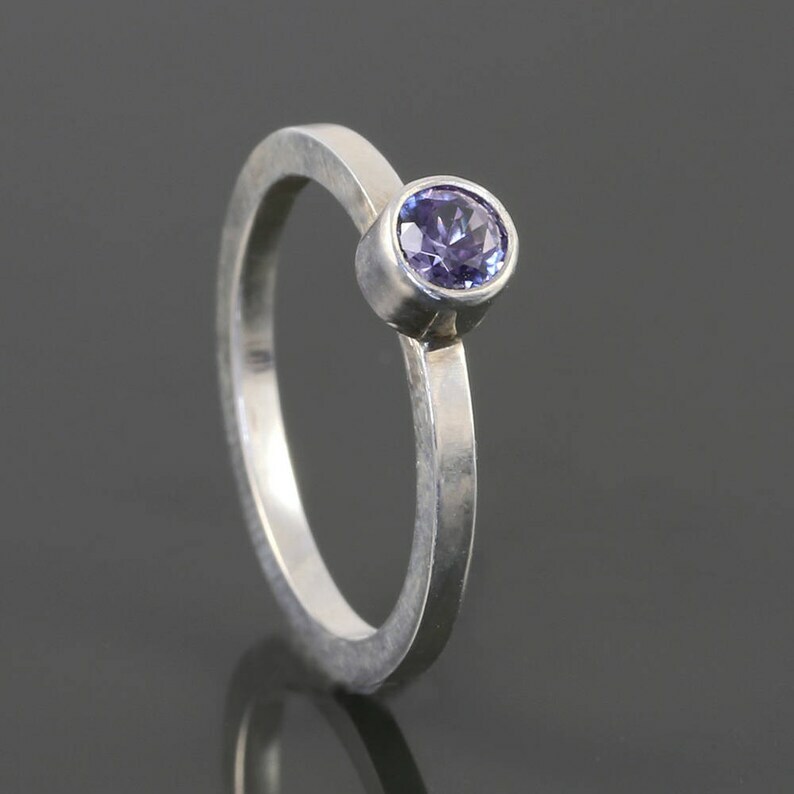 This stacking ring is made with all sterling silver and an alexandrite gemstone. I can make this ring with either a natural genuine alexandrite gemstone (grade A) or a simulated alexandrite gemstone (lab-created corundum). Both versions exhibit a color change under different light sources. Natural alexandrite is green in natural sunlight, and blue under incandescent light. The simulated stone is blue under natural sunlight, changing to purple under incandescent light. This ring will be made to your size specification. Please select your ring size when you check out. It will take me 1-2 weeks to complete once I receive your order. Please note that because this ring is custom-made, it is not eligible for exchange or refund. Please see my Policies section or contact me if you need further information. Skinny Stacking Ring. Hammered Texture. Sterling Silver. Thin Silver Band. Faceted Texture. Stackable. Gift for Her. Skinny Stacking Ring. Hammered and Beveled. Sterling Silver. Thin Band. Hammered Texture. Beveled Edges. Unique Design. Stackable.